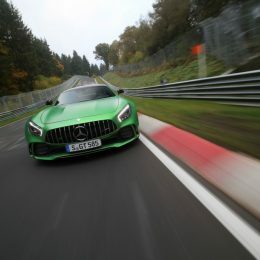 Just ahead of the winter break due to weather, the new Mercedes-AMG GT R* has set the fastest-ever lap time on the Nürburgring Nordschleife in a test drive conducted by “sport auto”. 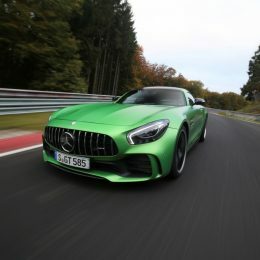 In a time of 7:10.9 minutes, the new spearhead of the AMG model range was faster through the “Green Hell” than any other road-going rear-wheel drive sports car ever tested by the German motoring magazine. 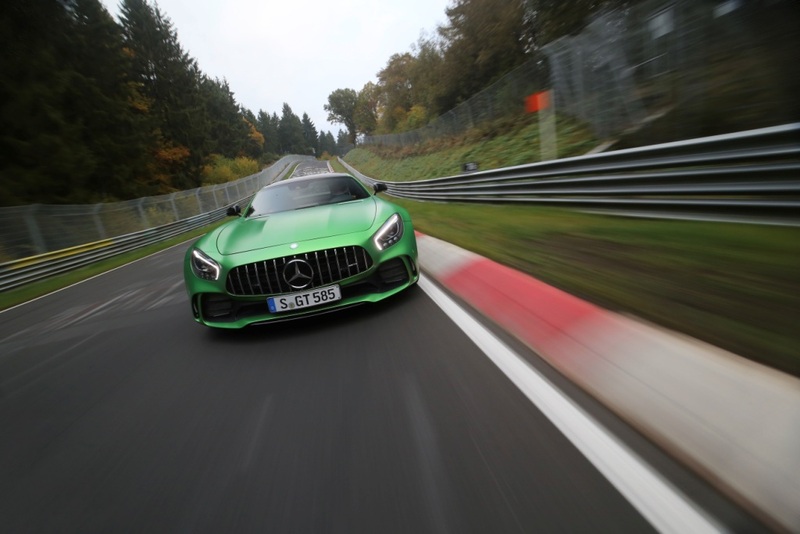 Through the Green Hell in just 7:10.9 minutes – the Mercedes-AMG GT R was faster than any other road-going sports car ever tested. 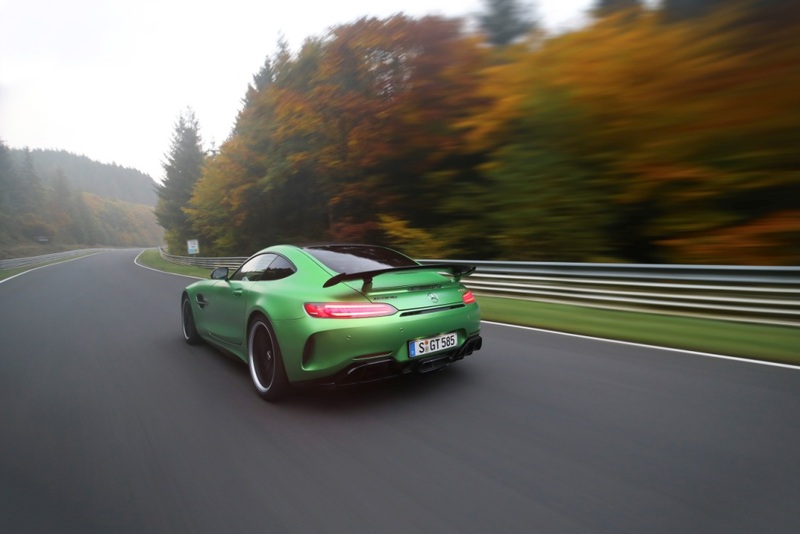 The 430 kW (585 hp) “Beast of the Green Hell” more than lived up to its nickname. 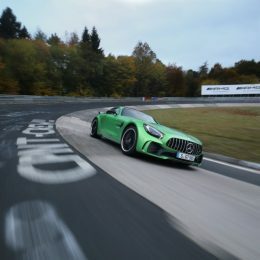 A lap of the legendary Nordschleife, which ranks as the world’s toughest race track, is the ultimate test of a sports car. 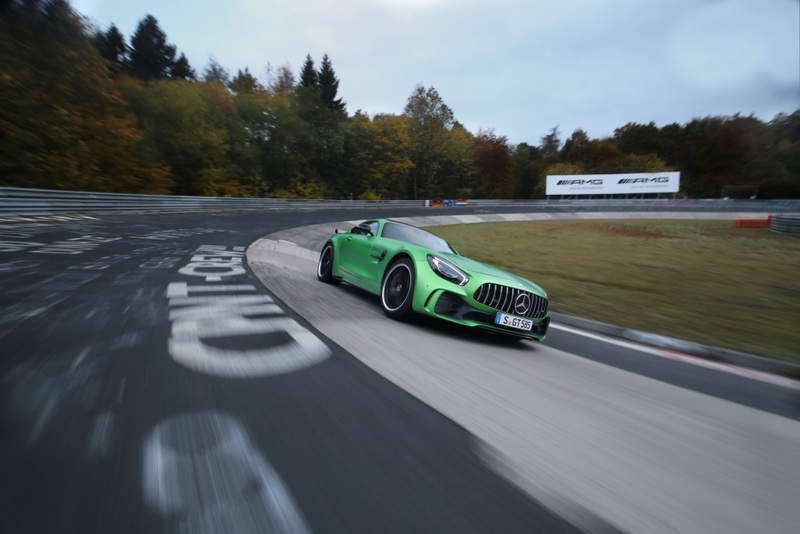 And this exceptional race track, the Nürburgring, is precisely where the Mercedes-AMG GT R has spent a large proportion of its development time. Numerous innovations and modifications bear witness that the road-going sports car has racing DNA in its blood. 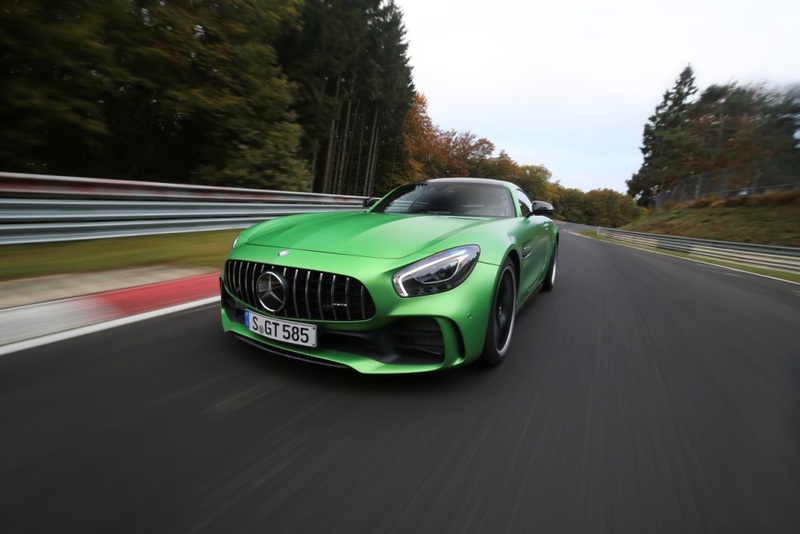 The foundations for such exceptional driving dynamics come courtesy of the front mid-engine layout with transaxle, a 430 kW (585 hp) V8 biturbo engine, extensively modified suspension, sophisticated aerodynamics, active rear-axle steering, bespoke tyres and intelligent lightweight design.